When coatings industry leaders approached NACE seeking a new accreditation program for contractors, the NACE International Institute set to work on a program now known as the NACE International Institute Contractor Accreditation Program (NIICAP). 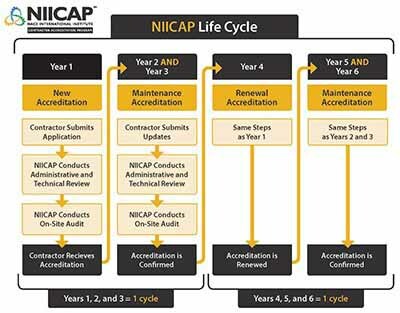 Launched in 2015, NIICAP is an industry-driven and industry-managed accreditation program that verifies a contractor's quality assurance program, support practices, production processes, and personnel management and training program. NIICAP's purpose is to elevate the quality and reputation of the entire industry through the execution of a thorough audit program based on ISO standards. 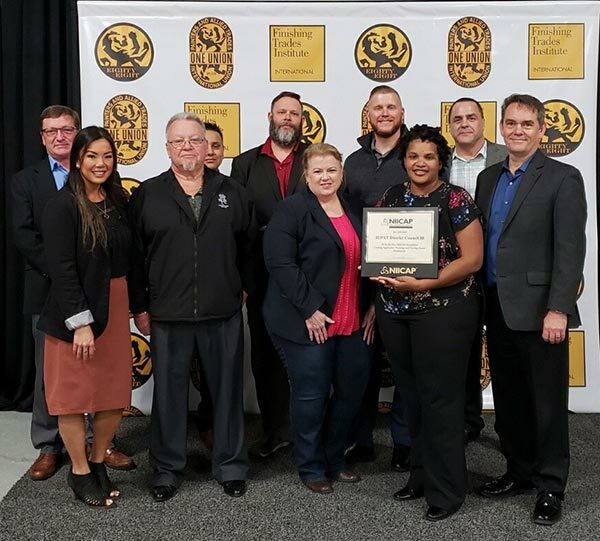 The program was designed and guided by industry experts — representing owners and contractors — to provide a vital tool that coating contractors and asset owners can use to improve operations, reduce costs, increase visibility and opportunity, and prequalify prospective contractors. NIICAP determines whether a contractor is up to speed on the latest advances, standards and practices, giving asset owners a way to easily distinguish between contractors who meet the highest industry standards and the infamous “two guys and a bucket” who are out to make money quickly without regard for quality. NIICAP not only offers a way for asset owners to find top-quality contractors but for contractors to distinguish themselves as the best. On a broader scale, accreditation elevates the quality of all coatings contractors serving the oil and gas industry worldwide. 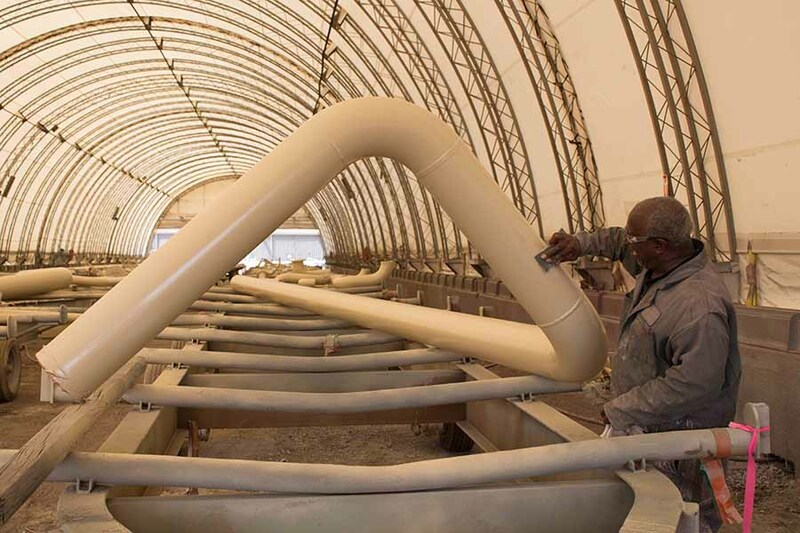 When more contractors become accredited, they raise the bar for their competitors, and when more asset owners specify accredited contractors, the quality of corrosion control and prevention is improved. Typically, the vetting process for hiring a coatings contractor consists of assessing the contractor's past work and hiring based on what appears to be a good job; however, there is more to a good job than meets the eye. With the right knowledge, training, tools and techniques, a good contractor not only gets the job done but meets standards that extend the useful life of the asset. Asset owners can know with confidence that a NIICAP contractor bidding on their job has been accredited by a global association that has looked into every aspect of that contractor's business with regard to efficiency in the field. 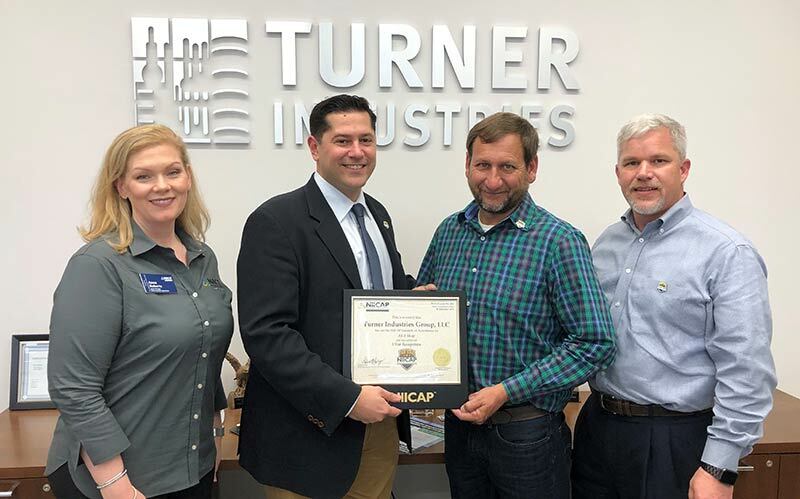 Turner Industries completed their first NIICAP audit in 2016. Accreditation through NIICAP is centered on a detailed onsite audit process. Those who earn accreditation distinguish themselves as best-in-class coating contractors by demonstrating the highest levels of knowledge, consistent performance, trained personnel, product and service quality, and organizational quality processes aligned with ANSI/ISO/ASQ Q9001-2008: Quality Management Systems – Requirements, 2008. Project-site audits, required annually, are a key feature of NIICAP to give maximum assurance to asset owners. They are overseen by NIICAP-contracted third-party auditors who have documented quality assurance experience and expertise in the practices being audited. AS-1 - NIICAP Audit Standard 1 (AS-1) Program for Accreditation of Field and Shop Coatings Contractors. AS-2 - NIICAP Audit Standard 2 (AS-2) Hazardous Waste Removal and Management Accreditation. AS-3 - NIICAP Audit Standard 3 (AS-3) In-House Applicator Trade Skills Training Accreditation. The initial and renewal accreditation processes are thorough reviews in accordance with the relevant auditing standards. The maintenance accreditation process is similar; however, it involves validation of known program and work practices and is less intensive. The cycle consists of one initial accreditation, followed by two maintenance accreditations, and starts over with one renewal accreditation followed by two maintenance accreditations. At the end of the third year, the renewal cycle is repeated. The administrative portion is completed offsite prior to the auditor's visit; the number of days for the onsite audit is dependent on various factors, and it changes according to the cycle point. For contractors the comprehensive audit process is a lasting benefit. Contractor audits include field accreditation, shop accreditation, accreditation of employer internal training program and hazardous waste removal and management accreditation. As part of the program, a contractor’s performance excellence is rewarded by reducing the cost of the subsequent review period. Other benefits of NIICAP accreditation include savings of time, money and manpower associated with proving compliance with quality processes by meeting the project requirements the first time. Accreditation also validates management and work practices, providing the assurance that business practices, personnel and equipment availability, company history, and training are meeting or exceeding the most effective and efficient practices in the industry. Following the in-depth audit, contractors receive the written results within 21 days. Those who attain accreditation can immediately use the NIICAP seal to market their organizations. Applicants who do not attain accreditation will receive a detailed report explaining why the decision was made, and they will then be given the opportunity to correct the deficiencies, appeal the results, or reapply at a later date. “The industry experts who designed and manage NIICAP have created a rigorous program that will raise the bar for all stakeholders in this industry, including asset owners, in the same way that the one-of-a-kind NACE Coating Inspector Program raised the bar for quality assurance in the coatings inspection industry in the 1980s. CIP boosts individual competencies; NIICAP will help companies do the same,” said Seelinger.